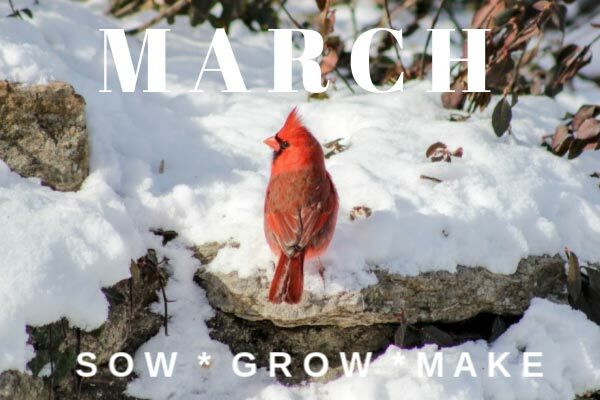 For cold-climate gardeners, March means we’re getting close! Spring gardening is on its way. Now is the time to get seeds started indoors and create some garden art for a fresh, new start. Here in southwestern Ontario, Canada, March is the month of hope! Spring is in the air. No matter what snow storm might be thrown our way, there’s a definitely a feeling of spring in the air. Early-flowering bulbs pop up, the sound of bird mating calls rings out from morning to dusk, and tree sap runs once again. 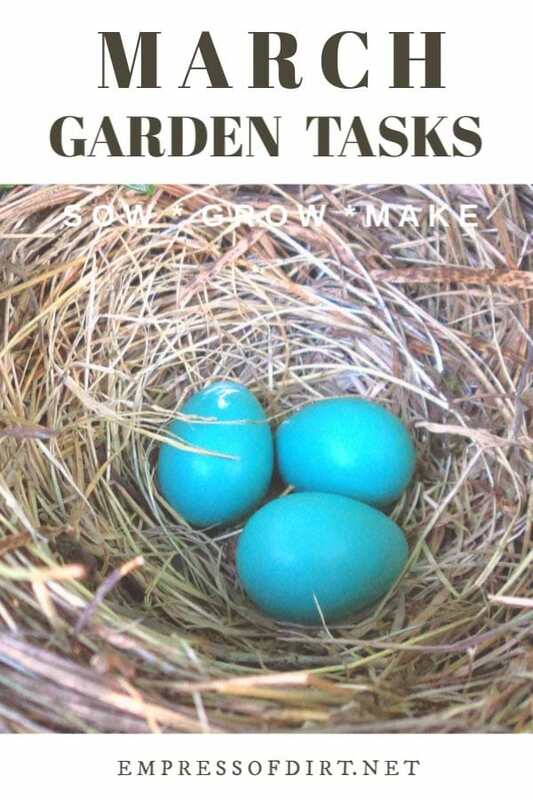 There is a complete, printable Spring Gardening Checklist here. Late winter is prime time for pruning many trees and shrubs. And a good time to visually assess their structure and health. 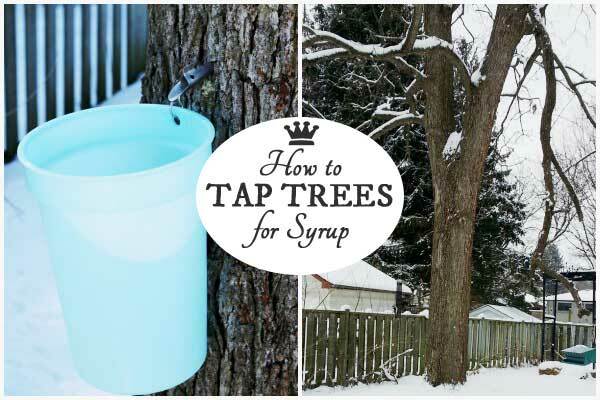 Want to tap trees for syrup? Get your supplies ready. Want to sow early veggie crops? Set up season extenders for a jump start. Make sure your pond does not freeze over. I keep a pump running and a hole open in the ice. Also consider adding bee, bat, or owl boxes if you have a larger property. 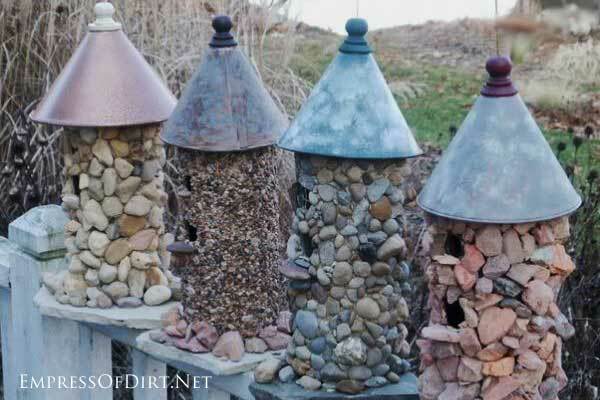 Wash your bird feeders and suet cages on a regular basis. The freeze/thaw cycle can cause the spread of disease. You can track the hummingbird migrations on this map to know when they’ll arrive in your area. It’s indoor seed starting time! Grow annuals including veggies, and perennials. It may be time to start sweet pea seeds too. Grow salad greens, and other veggies and herbs indoors any time of year. Use that restless March energy to create some new art for your garden. Order seeds. Here’s a directory of seed companies in Canada and the United States. Did you order bare root plants like asparagus or fruit bushes? It may be planting time now or soon. Thinking about getting hens? 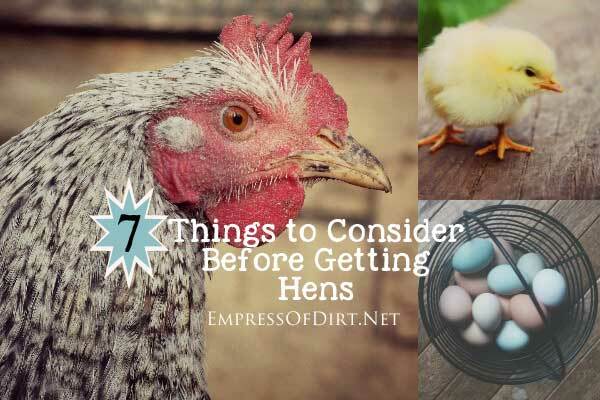 Read 7 Things to Consider Before Getting Chickens by expert Lisa Steele. 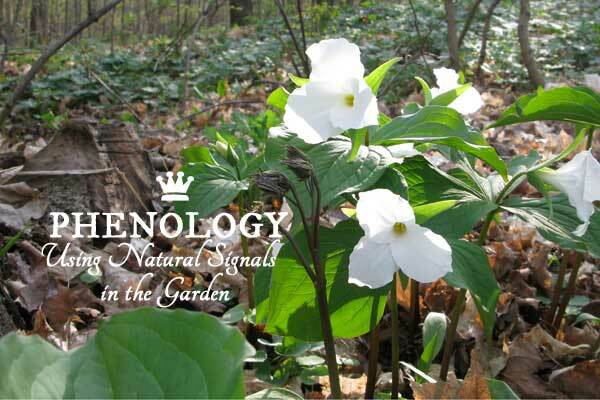 You may not know it by the name phenology, but you certainly know what it is. Phenology is the science of observing annual first events in nature. When flower buds open. When peepers first peep. When bees appear. When migrations arrive. When bulbs pop up. The list is endless. March marks the beginning of the busy season for annual firsts! Leaf buds may become larger. Birds are dating, mating, nesting, and practicing their finest mating songs. Some insects may emerge if it’s warm enough. Weather will toggle between winter and spring. Days are lighter, putting most humans in a better mood. Frozen waterways may thaw, fish become more active. Early perennial growth is evident when snow melts. 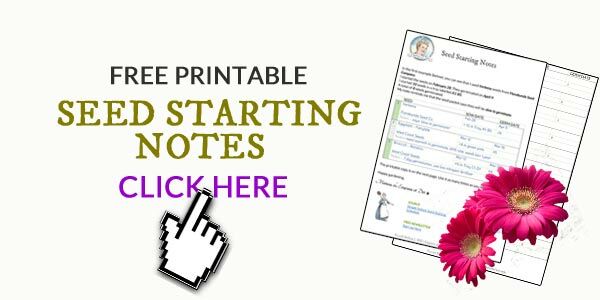 Use this free printable to track your seed sowing. These notes become a valuable reference!